Google Googles is a visual search application. you get immediately the search information on the screen. 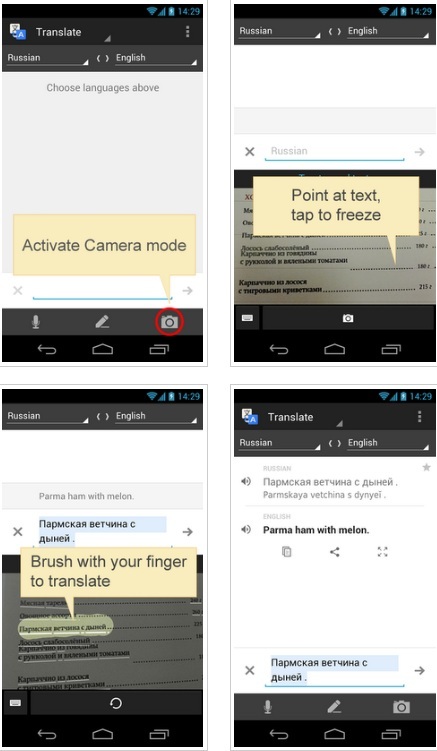 The application is integrated with optical character recognition and recently with Google Translate. Now can search for the meaning of texts and get the results quickly. and brush it with your finger. Unfortunately the app is not available on the Apple store. Next postTechnology and endangered languages – data are always welcome!